Welcome back decor enthusiasts, and Happy Thanksgiving! Last time, we discussed a few nontraditional color scheme options for the dining room. Let's continue! Want to take a rustic and intimate route? A gold and black theme makes a gorgeous statement. 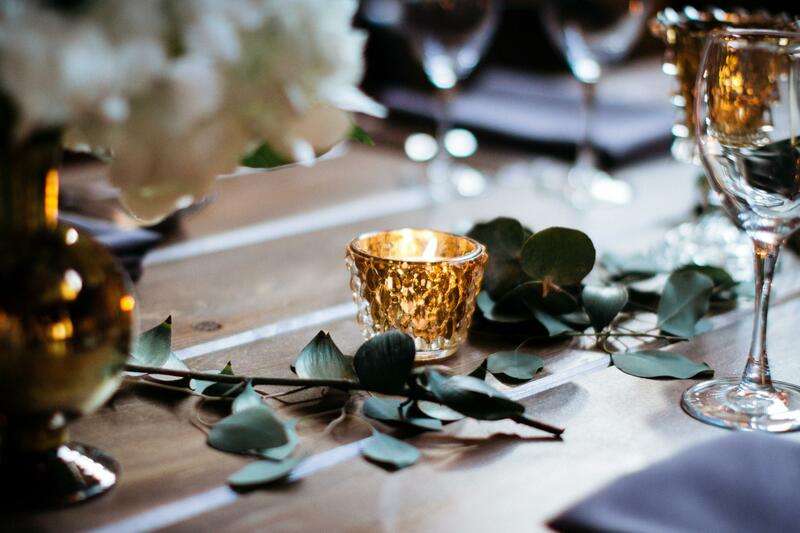 Black table cloths and chair covers accented by gold candles, dinner wear and utensils will keep your guests talking for years. If you're looking for something more subtle, a mix of neutrals will do the trick. Use white, cream and tan to decorate the table and the rest of the room. Accent with a soft color like green for an extra dimension of style. Thanks for watching! Tune in next time for more decor tips and tricks. Happy holidays!